National Bike Month is a success because of the countless, diverse local events organized by dedicated bicyclists in their communities, organizations and workplaces. We want to help you promote your local events with resources like posters, web banners, social media resources and more. For additional assistance or questions, please contact communications@bikeleague.org. Download the full set of posters to print professionally or right at home. We have two themes for you to choose from. All four posters come in sizes 8.5x11, 11x17 and 24x36. Download two different versions in jpg file format. Fact, figures, infographics, sample Tweets, and more for National Bike Month! 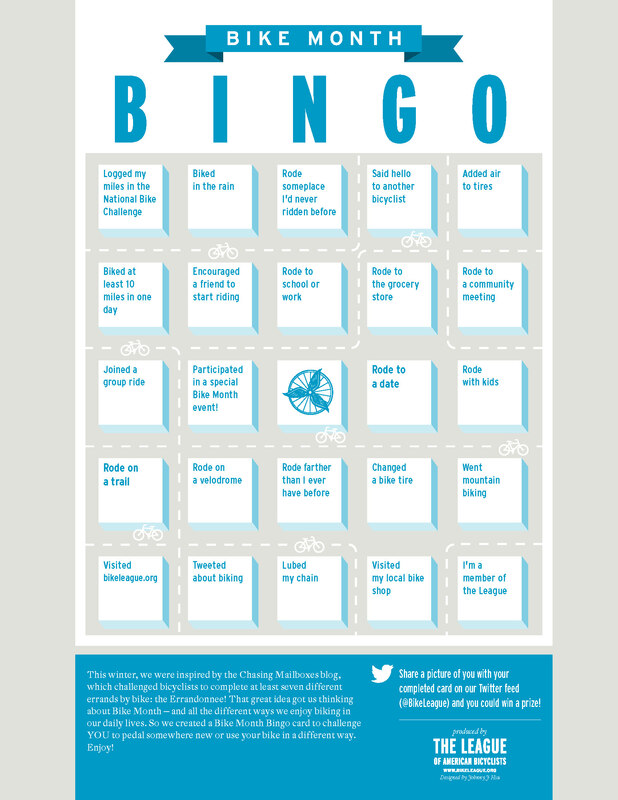 Make sure your breakroom includes this poster, which lays out the benefits of working at a Bicycle Friendly Business.